Gymkhana specialist Ken Block rocked South Africa with his mighty Hoonigan Ford Mustang in 2015. A new clip has surfaced showing the stunt driver drifting in Joburg. 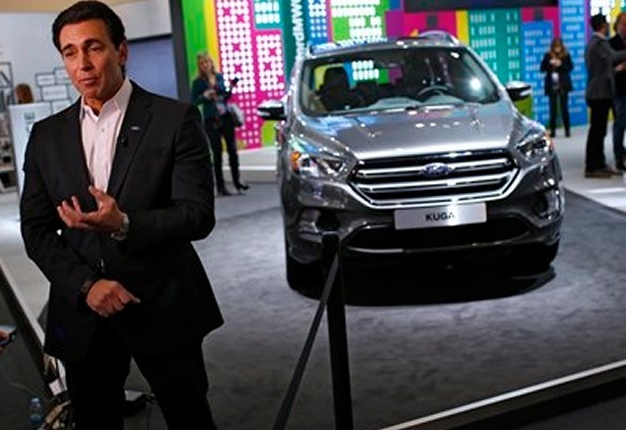 Barcelona, Spain — Ford CEO, Mark Fields, says the 112-year-old company is tripling its investment in new technologies that will ultimately lead to self-driving vehicles — but will keep making cars for drivers who want to keep their hands on the wheel. Fields told The Associated Press: "We are really emphasizing our transition from an auto company to an auto and mobility company. This is a really good audience to reach some new folks." The Kuga includes the latest version of Ford's connectivity technology, SYNC 3, which the company says includes improved voice commands and makes it easier to access applications on a driver's smartphone. It has a new 1.5-litre diesel engine, among other features. Don Butler, Ford's executive director of connected vehicle and services, told the AP "we like to think about it as the transition from just a hardware company to a software and mobility services company as well." "Mobility" is a buzzword at the wireless show. For Ford customers, it means a wide range of innovations from further integration of the Internet in cars, to ride-sharing and even the use of other modes of transport in conjunction with cars, like bicycles. Fields said Ford is aware it will have to be careful to keep a hold on the traditional car driver, by protecting — especially in the United States — the aura of personal freedom that automakers have always cast over their products. Ford is taking a "dual path" in developing the connected car, said Fields. One for those who want to be assisted by the car or eventually have the vehicle take over, and another for drivers who want to keep control of the wheel. With ride-sharing platforms like Uber reshaping driving for many young would-be consumers, Ford is also looking to get a piece of the so-called sharing economy. "Across the world when you see growth of these megacities, with 10 million or more folks, people want mobility solutions, they want options," Fields said. That can include car-sharing, ride-sharing or the use of multiple modes of transportation linked into one service — such as the use of a train and bike. He said Ford is testing some programs in this field, which he sees as "a big revenue opportunity."